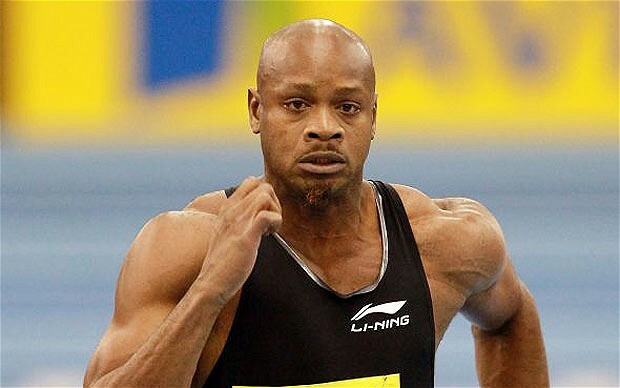 Jamaica’s Asafa Powell, who has struggled to produce his best form at major championships, believes a change in coach and a new approach to training will improve his fortunes. The sprinter who held the 100m world record between 2005 and 2008 before compatriot Usain Bolt lowered it to 9.58 seconds believes he can rediscover his form and improve his personal best of 9.72. “Anything is possible. Justin Gatlin surprised me last year he ran his personal best times of (9.77 & 19.68) at age 32,” said Powell, who ended 2014 as the fastest Jamaican with 9.87 seconds after serving a six-month drug suspension for using the banned stimulant Oxilofrine. “I think I’m capable of doing a lot more than most of the sprinters out there My best is yet to come, so it’s just to be patient,” said Powell who is eyeing gold at this year’s world championships in Beijing. “I feel a lot stronger, I’m a lot more focused and I think I’m smarter now, so I know what it takes to do it. It’s just to put myself out there and do what I’m supposed to do,” added the man who has run a world-record 84 times under 10 seconds. Powell’s brother Donovan, a 100m quarter finalist at the 1997 World Championships, is backing his 32-year-old sibling to add gold to his two bronze medals from 2007 and 2009. “Nothing is impossible, 32 is the year you really get to put everything together,” he told Reuters. “We are doing different things He’s really working hard to achieve the 9.72 he ran a few years ago and I personally think if he keeps focused and remains healthy, he can do it,” he said. The fifth fastest man in history is set to run three 60m indoors before bidding for the elusive 100m world title. “The main focus is the trials first because that is like a world championship by itself and then the World Championships in China,” said Powell, in reference to the glut of Jamaican sprinters with sub-10 credentials. They include Bolt, Yohan Blake, Nesta Carter, Kemar Bailey-Cole and Nickel Ashmeade. “I’m just trying to stay healthy, put in all the hard work and make sure that I stay focused and just win the gold (in Beijing),” Powell added.